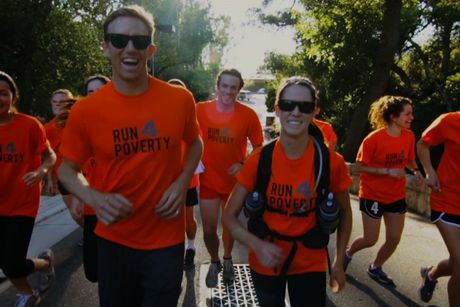 Run4Poverty was created for endurance athletes who have a desire to push their physical limits and raise awareness and funds for sustainable change. Microfinance loans transform lives and we are dedicated to directing all funds raised to this purpose, in partnership with Opportunity International. $150 is the average amount needed for a microfinance loan. Empower one woman per kilometer Vanessa runs. Want to show even more support for Vanessa? Check out the items in her store. All proceeds benefit Opportunity International. 2.5 billion people live on less than $2 per day. Women and girls represent 70% of this number. Many of these women are entrepreneurs who simply need basic access to one small loan of $150 to set them on a course that is life-transforming. Your gift to Opportunity will provide women clients with access to financial resources they need to work their way out of poverty and create a better future for themselves and their families. Opportunity International provides small business loans, savings, insurance and training to over 14.3 million people working their way out of poverty in the developing world. Clients in 22 countries use these financial services to start or expand a business, provide for their families, create jobs for their neighbors and build a safety net for the future. Learn More.